Yay finally they released Instagram for all the other phones! Now I don't have to admit that the only real reason I wanted the iPhone was for instagram (lol oops). Started snapping pictures everywhere with JJ's better smartphone already. Either way, it's time for an upgrade in May so we'll see. This is such a great app because I never get around to pulling pics off my phone and editing, uploading, all that hassle and it's just faster to show tidbits of daily life without pulling out the huge SLR. Foodies, you're in for constant treats from now on. 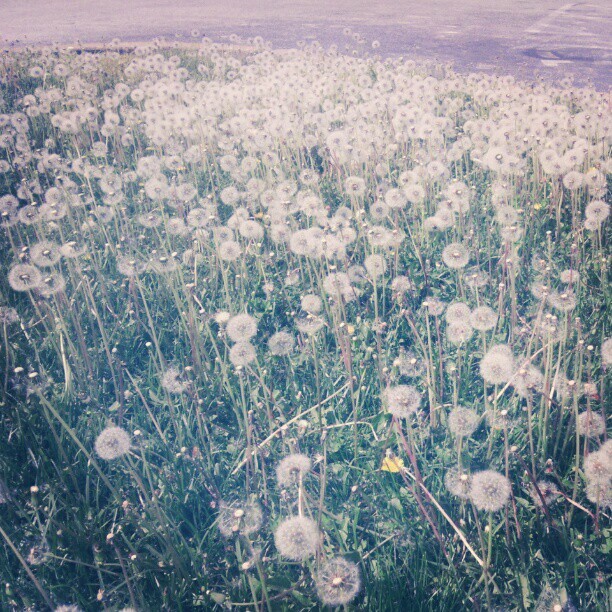 Meanwhile, there are lots of dandelion puffs and they keep replicating by the day. 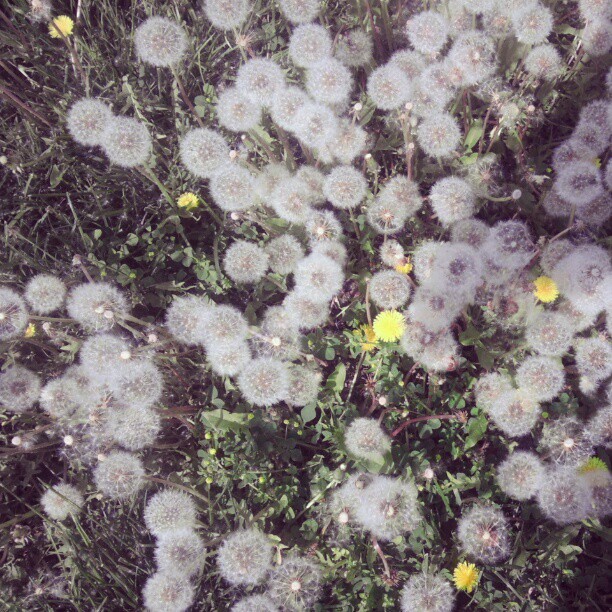 And if you're into the Hunger Games every little yellow flower probably reminds you of Peeta. Happy Tuesday! Readers - have you started playing with Instagram yet? How pretty! I didnt know other smart phones couldnt use instagram before. But now, welcome to our world! I just followed you hehee feel free to follow me back at winnietsuii :D:D Sometimes poor quality pictures have their own charm too! hey girl, thank you for your comment in my blog, you have now a new follower. I really want an iPhone or an android, maybe for my birthday??? Uh oh, another way to stalk, I mean, follow you! WAIT i'm so excited! i just downloaded it!! thanks for letting me know! :D I'm tealeafee! I just got it as well haha.